Our case study focus here is on Enterprise Resource Programs [ERP] projects because they are amongst the most rigorously evaluated, effort-intensive and costly of all types of corporate change. 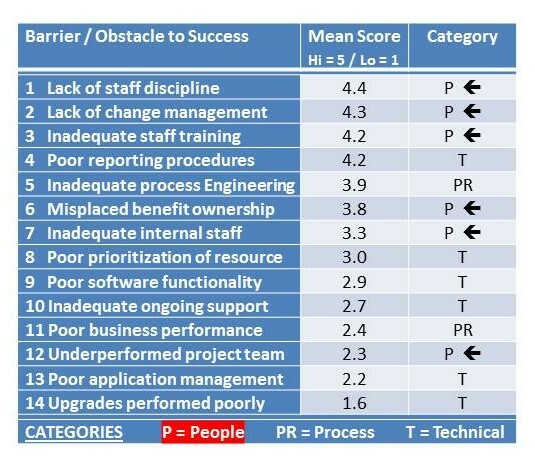 They vividly highlight the facts underpinning our position that staff & team “people” factors account for > 50% of the net ROI realized from change projects. 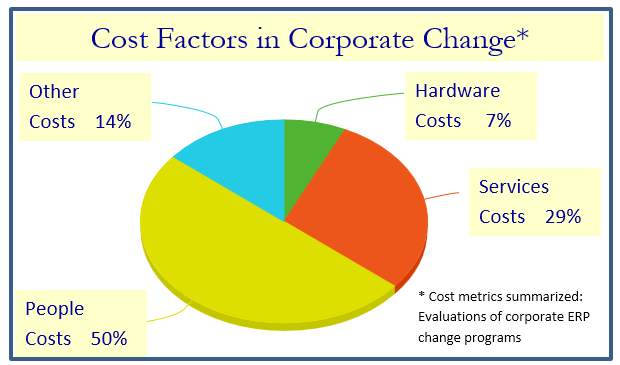 Corporate changes most often succeed OR fail because staff and teams did .. or did not .. make them work.